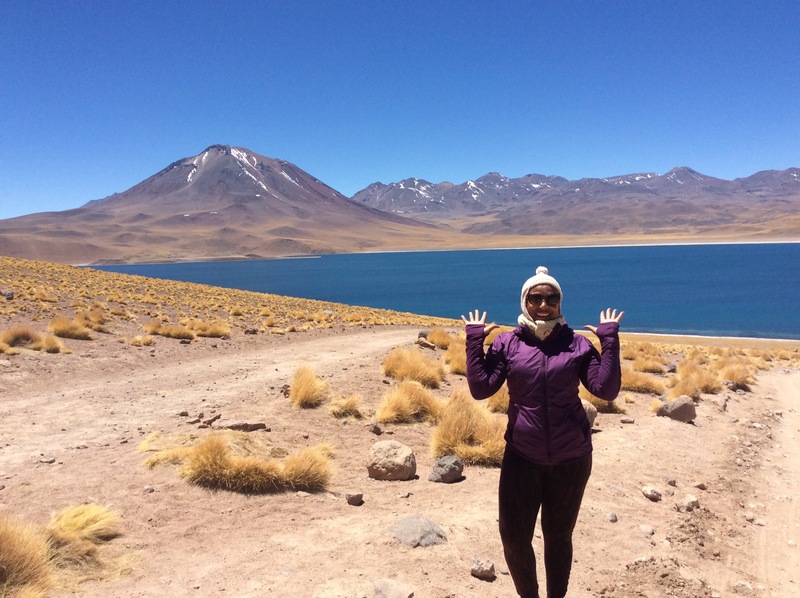 Atacama – Four Seasons One Day! Last October when I decided to visit Chile, that narrow strip of land which stretches from Peru in the north to Argentina in the south, I could have chosen any number of cities but in the end, thankfully, I randomly chose San Pedro de Atacama in the Antofagasta region. 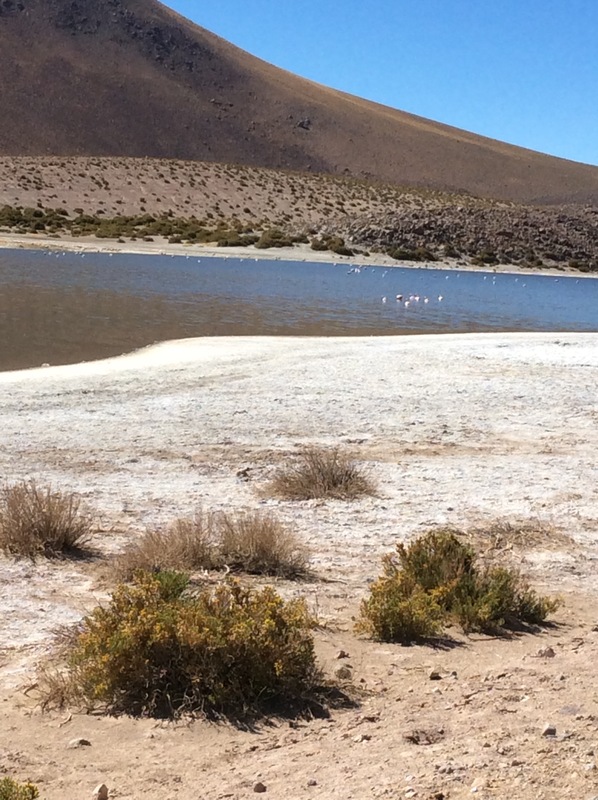 Atacama is known for its volcanoes and deserts. 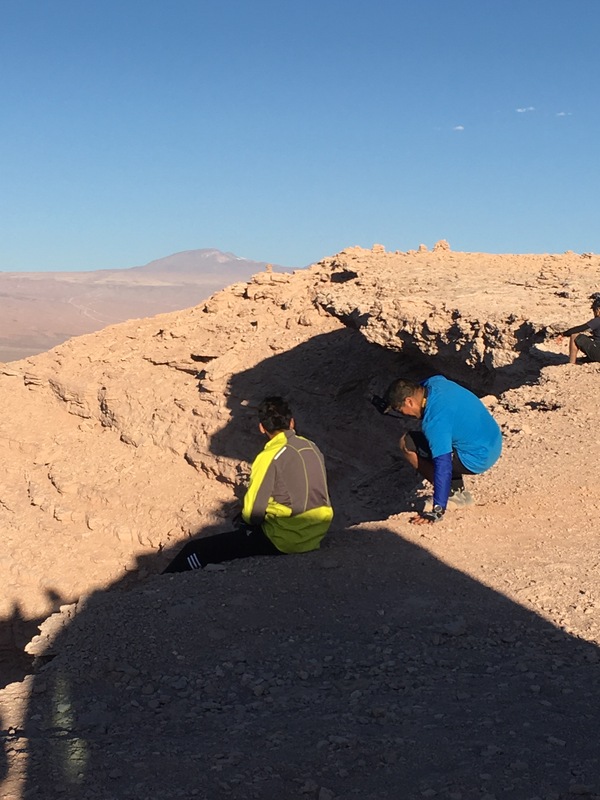 Atacama is one of the locations for the 4 Deserts Race Series, the others are in China, Namibia and Antarctica. 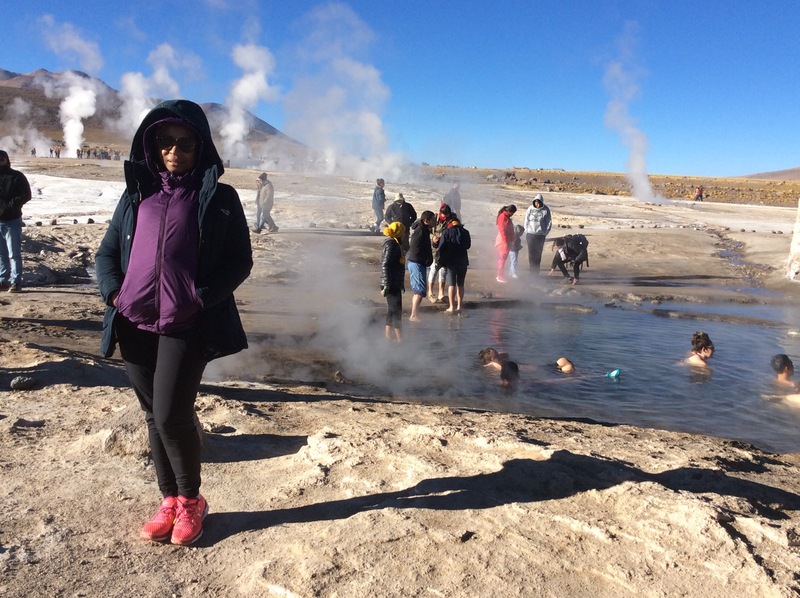 Atacama is in the north of Chile and is full of mineral wealth. 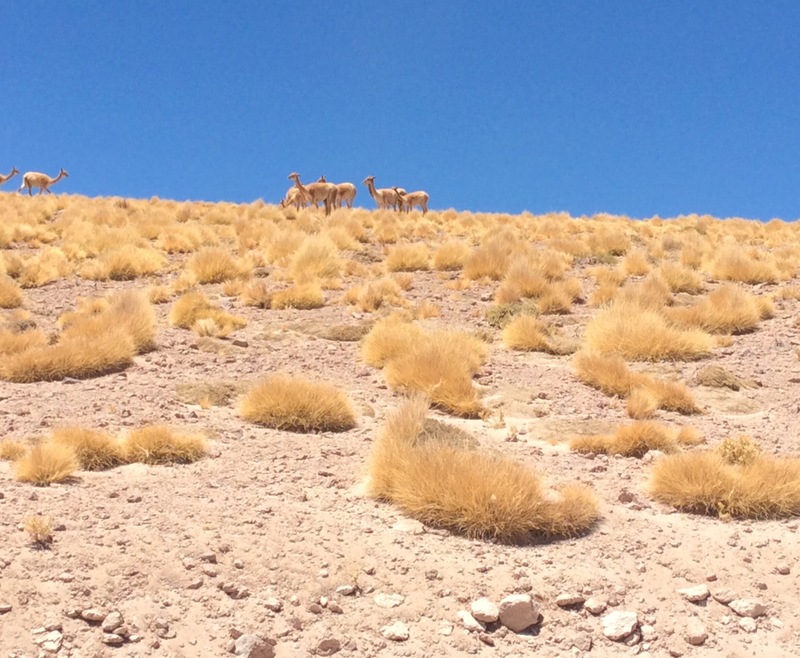 Atacama’s desert is the driest place on earth. 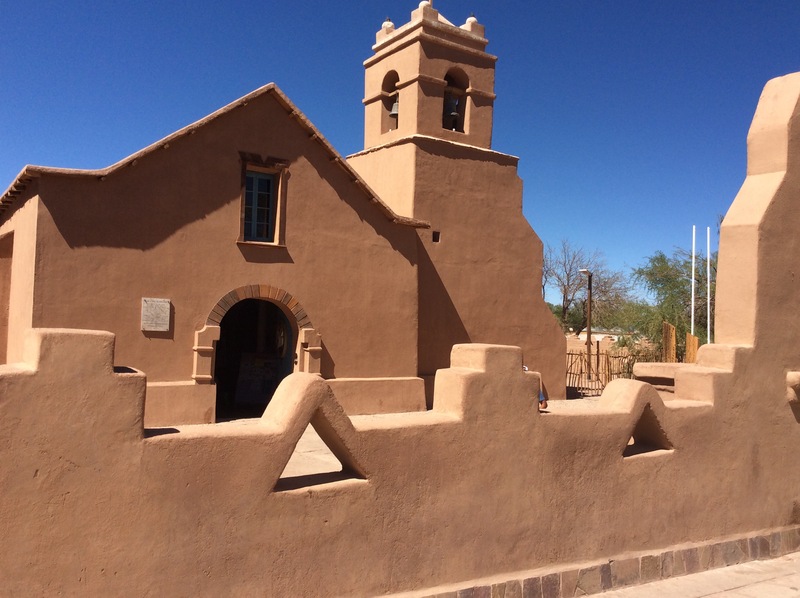 A two hour plane ride from Santiago, the capital of Chile takes you to Calama. 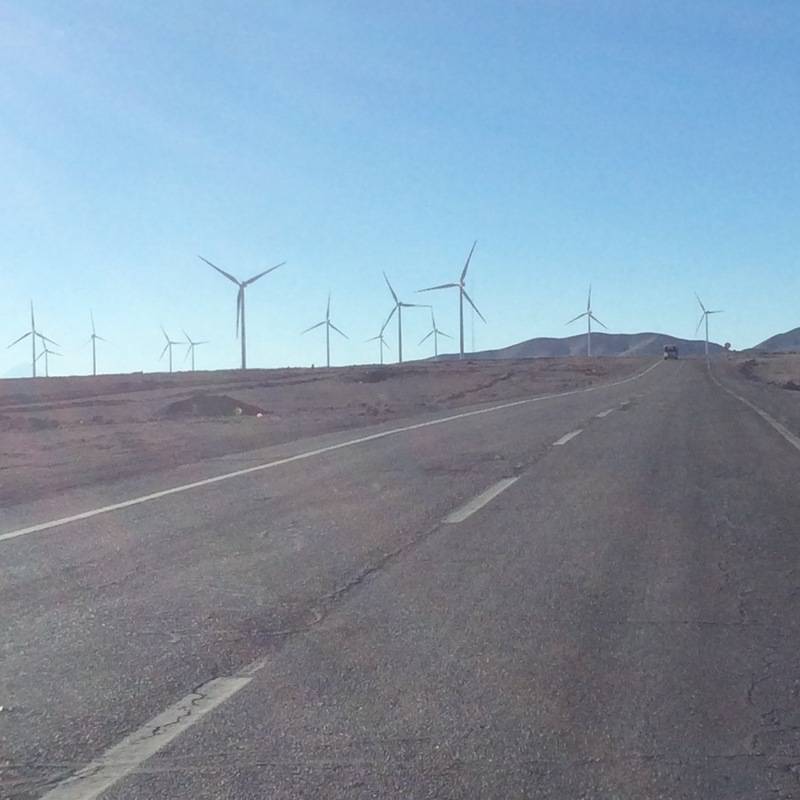 From Calama a 1.5 hr drive takes you right into Atacama. Along the way you will see the copper mines fueled by wind turbines. Chile supplies 30% of the world’s copper. 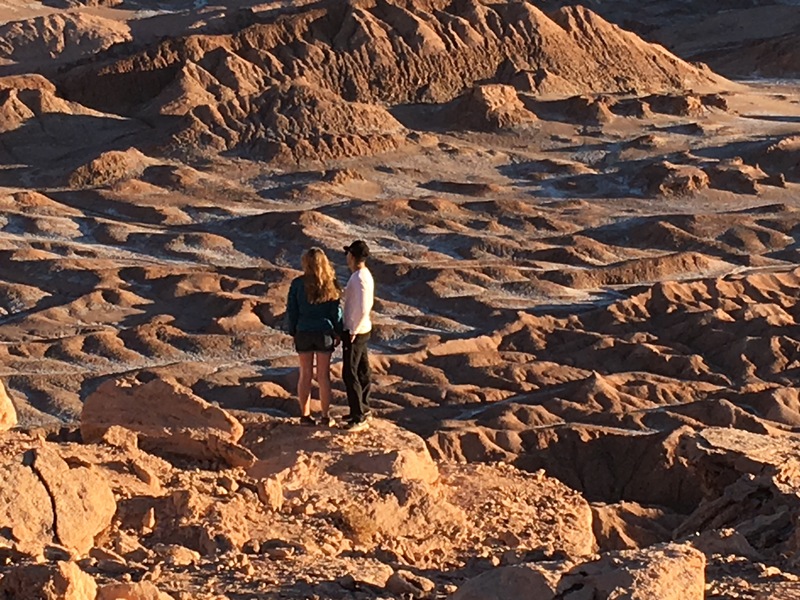 No matter what time of day or night you arrive in Atacama you can begin your touring. 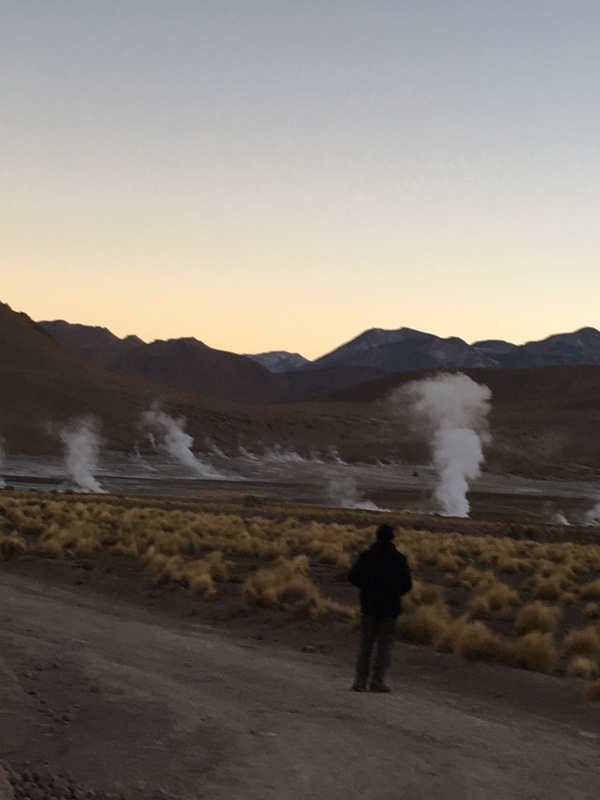 With an early morning tour you can visit the Tatio Geysers to catch the sun rise. At the geysers if you are brave enough you can take a plunge into the thermal pool or stay at the edge and shiver, like I did. In the afternoon you can choose to sand board on the dunes in this Sahara of the West. Another worthwhile afternoon tour would be a visit to the Altiplanos, the “high planes”. Dress suitably as it gets cold there as well. 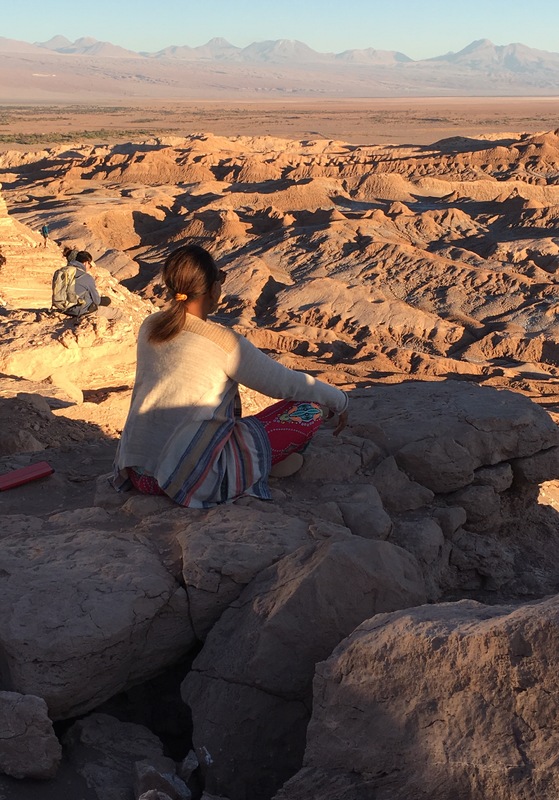 For an evening tour you must witness sunset over Valle de Luna and the Valle de Muerto. You can see the changing colours of the most famous volcano, Licancabur. 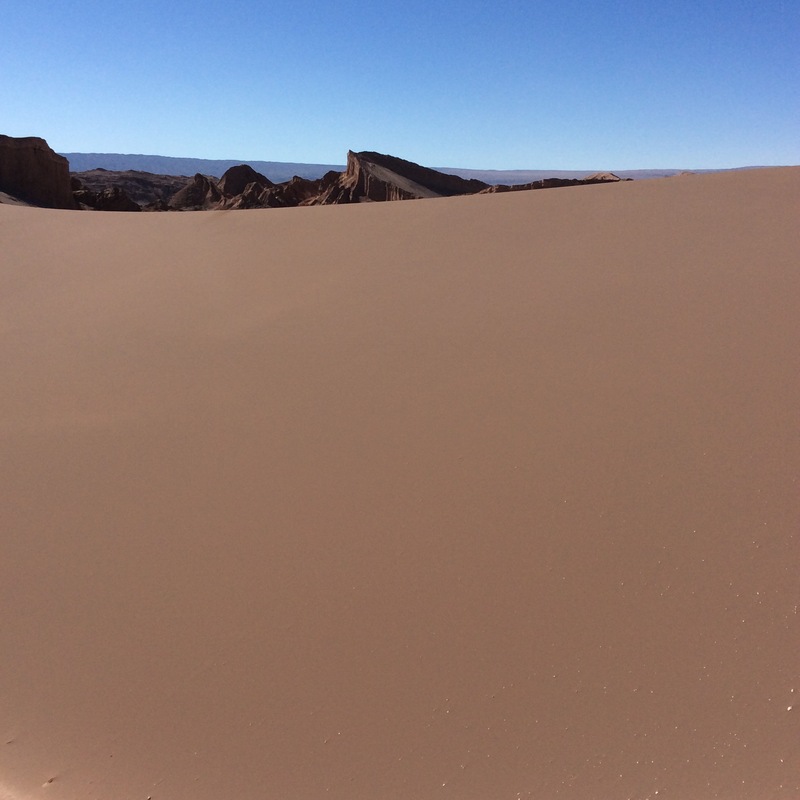 Here in these Valles you feel like you are on another planet. Allow the rays of the sun to shower you. 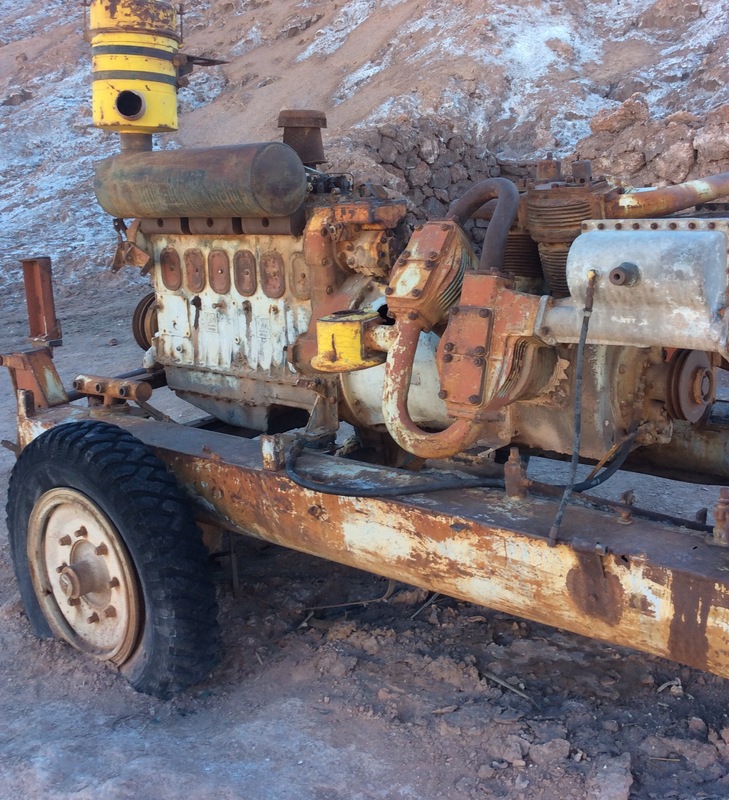 Before heading up to the Valley stop by the abandoned salt mines. At night you must try star gazing. 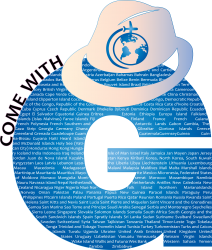 There are many guides available. They supply the telescopes and provide lectures as well. 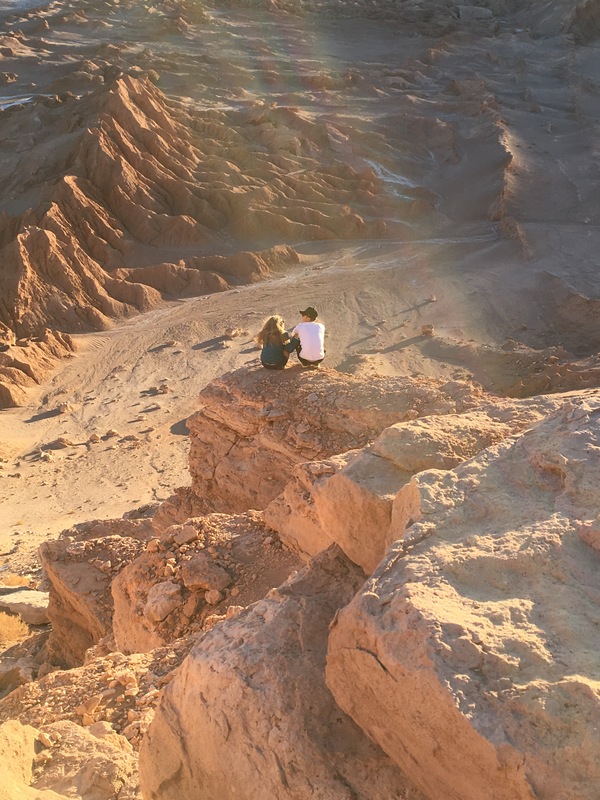 Astronomers swear Atacama is one of the best places in the world for celestial gazing and it is the hub for astronomical research – stable climate, dry and pollution free. 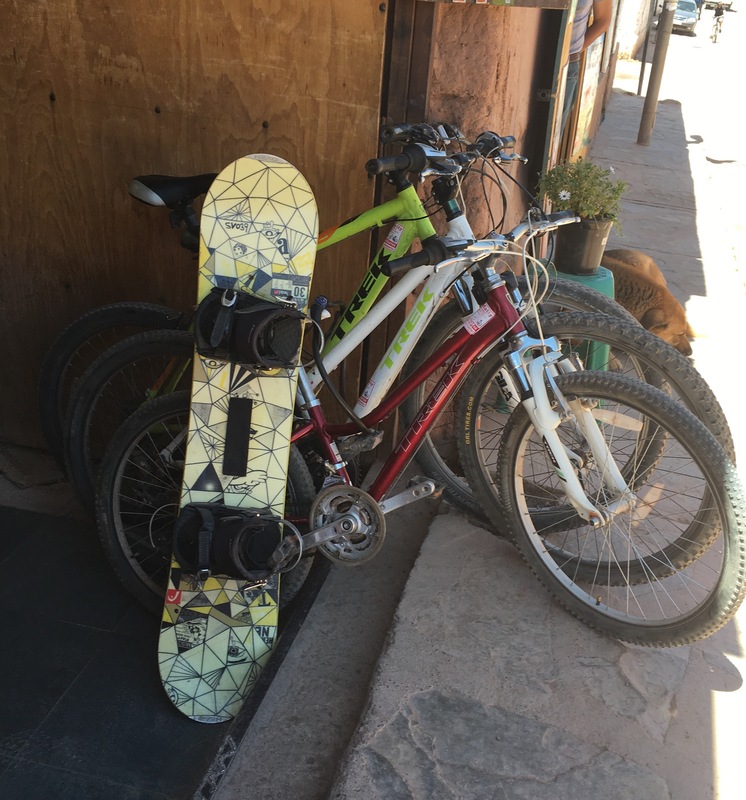 If you decide to visit Atacama at any time of the year you need to pack clothes for all four seasons and also remember to take your altitude medication including coca tea. I booked my tour via Condor Travels and I was very pleased with my tour guides, Maria, Olivia and Anita. Anita is now working independently.